Lutheran Services Carolinas (LSC) has provided us with a new Community Resources Referral guide for Refugee Clients. It is available on our “Refugee Matters” page. There are many reasons why refugees and other immigrants leave their own country and come to the United States. Some of them are fleeing dangerous situations in their home countries, including violence and political oppression. 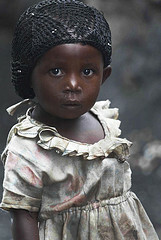 But they also face many challenges when they arrive in the United States. Many of you have seen or experienced this yourselves. A local news channel, WRAL in Raleigh, has produced a new documentary film called “Welcome to North Carolina.” The film is just 22 minutes long. It focuses on an Iraqi couple and their two children, who left Baghdad to come to Raleigh. You can find the link to this video on our Refugee Matters page. 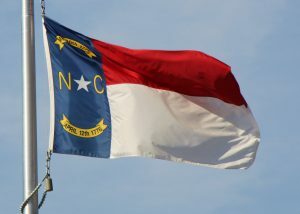 This page includes important resources for refugees in North Carolina and information about specific refugee populations who now call NC their home. 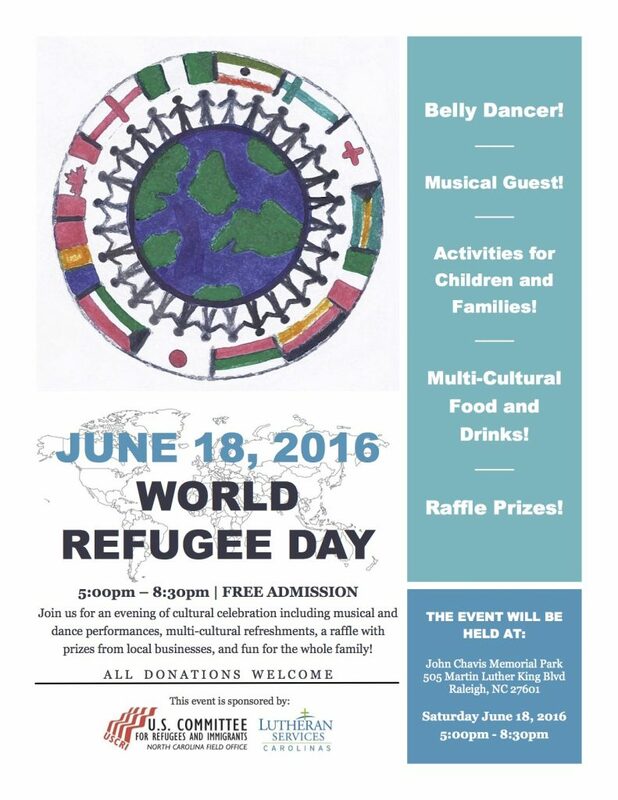 World Refugee Day will be celebrated in Raleigh and other cities around North Carolina on Saturday, June 20, 2015.